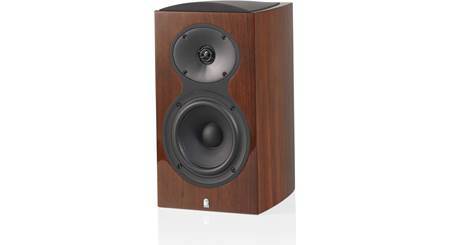 The Emit M20s are a fine example of the incredible sound that Dynaudio can squeeze out of a modestly sized bookshelf speaker. I had the opportunity to audition the M20s during a training at our headquarters, and was impressed by the rock-solid center image, tightly controlled bass, and huge soundstage they produced. Use the M20s with confidence as part of a stereo music system, or as the front or rear channels of an Emit Series home theater system. 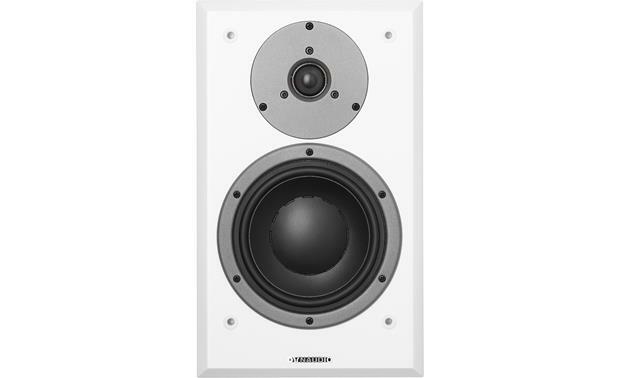 Use the M20s as the front or rear channels of an Emit Series surround sound system. The M20s' 6-3/4" woofers use Dynaudio's Magnesium Silicate Polymer (MSP) cone material, which combines low mass and high rigidity. 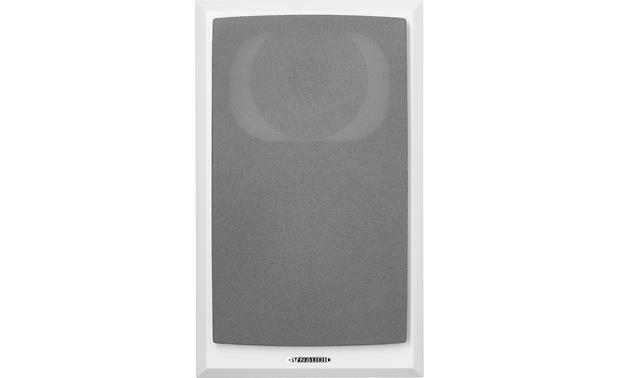 This design allows the woofers to respond quickly and accurately to the dynamic peaks in the music. Each Emit M20 cabinet is ported in the rear to provide a bit of extra low-frequency oomph — but not enough to sound boomy. A foam plug is included, which you can insert in the port to optimize bass response when placing the speakers near a wall. The Emit M20s use a soft dome tweeter that's just over an inch in diameter. 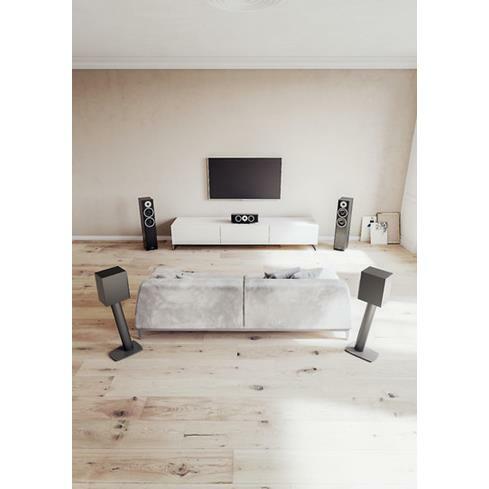 This tried-and-true design has been refined over Dynaudio's four decades in the industry, which allows it to produce detailed, neutral, and non-fatiguing sound — even when you crank up the volume. A friendly heads-up: Dynaudio speakers perform at their best when fed high-current, high-quality amplification. With a sensitivity rating of 86 dB and a 4-ohms nominal impedance, the Emit M20s are a lot like a high-performance sports car that needs "premium gas" to reach its full potential. If you'd like personalized advice on matching these speakers with an amp, give one of our Advisors a shout for a free expert recommendation. Two-Way Bookshelf Loudspeaker: The Dynaudio Emit M20 bookshelf loudspeaker utilizes a two-way driver design with a 1.1" precision-coated, silk soft-dome tweeter and one 6.6875" Magnesium Silicate Polymer (MSP) woofer for greater precision, power-consistency and control. The Emit M20 delivers a natural midrange character, exceptionally detailed and clear high frequency reproduction, and accurate bass performance with incredibly low distortion. Rigid Bass Reflex Cabinet: The Emit M20 bookshelf features a bass reflex enclosure with a rear-firing port for greater efficiency and bigger bass response. The Danish tradition of craftsmanship drives the meticulous process of selecting the perfect cabinet for the combination of custom drivers. The front-baffle is manufactured using CNC (Computerized Numerical Control) machining. Computer-programmed and controlled by ultra-responsive sensors, precision to within a single micrometer (ìm), multi-axial drilling machines produce the acoustically optimized baffle shape and unique design details. Additional internal damping, strengthening, and bracing in critical sections of the cabinet substantially reduce unwanted resonance. 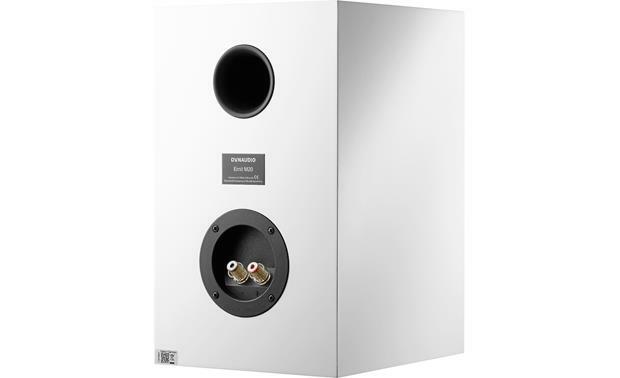 Heavy-Duty, Gold-Plated Binding Post: The Dynaudio Emit M20 bookshelf loudspeaker is outfitted with a set of heavy-duty, gold-plate binding post terminals for secure connectivity and excellent signal transfer. The binding posts will accept bare wire (up to 10AWG), pin-connectors, and banana plugs (single only). 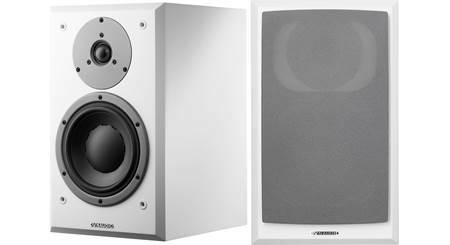 Applications: The Dynaudio M20 bookshelf loudspeakers are designed to offer advanced performance in both stereo and multichannel applications. 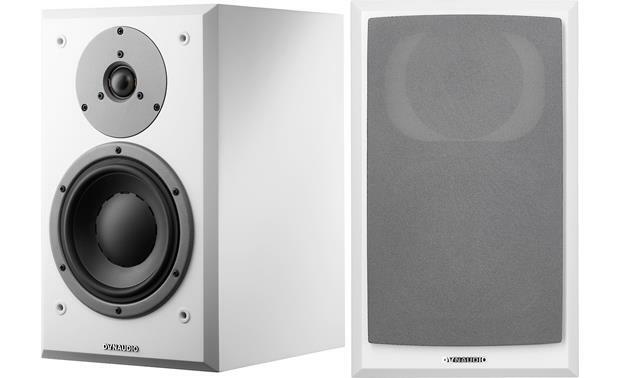 Mounting Options: The Dynaudio M20 bookshelf loudspeakers are designed to be placed on a speaker stand, shelf, table, or other piece of furniture with a solid flat-surface. 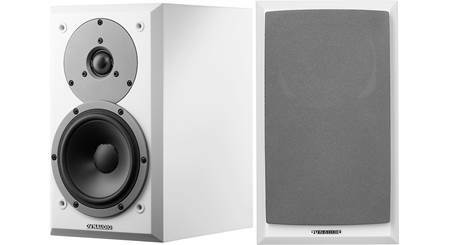 The M20 doesn't provide a mounting bracket, keyhole slot, or threaded insert to wall-mount the speaker. However, you can use the PinPoint side-grip wall-mount bracket (sold separately - see Accessories Tab) to mount the M20 loudspeaker to the wall. 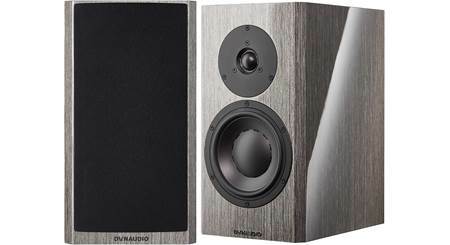 Searches related to the Dynaudio Emit M20 Bookshelf speakers.